Tonya has been contributing to patient dental health as a CU certified Expanded Duties Dental Assistant since 1980. Tonya assists in the development of comprehensive dental treatment plans to help patients achieve healthy smiles. Her technical skills are profound. She has attended numerous continuing education courses to further develop her delivery of patient care. Tonya enjoys golf, traveling, snowshoeing, exercising and being Grandmother to her grandson. Cheryl has been working as treatment coordinator in a dental office since 2011. She strives to provide excellent customer service to every patient. Prior to working in the field of dentistry Cheryl worked as a paraprofessional in a local elementary school. Cheryl is married and has two children and a Golden Retriever. She enjoys reading, taking long walks and spending time with friends and family. 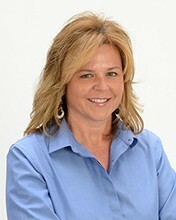 Margie is a caring and compassionate hygienist. She will try to make you laugh while she tells you to floss your teeth. Margie Biblin was born and raised in the San Fernando Valley, near Los Angeles. She is the second of three kids and remains close to her siblings. Shortly after becoming a licensed Veterinary Technician she moved to Boulder, CO where she worked in a Veterinary office for over 12 years. In 2000 she went back to school to become a Dental Hygienist. She attends continuing education courses every year in order to stay current on the latest advances in dental hygiene. In her spare time, Margie likes nature photography, playing her Native American flute, skiing, hiking, and swimming. She lives in the mountain community of Pine Junction with her wife Cindy and two dogs. I have been in the dental field for a total of 16 years. I first started my journey in dentistry as part of a front office team. I then found myself intrigued with the back office and trained to became a dental assistant. I enjoyed being an assistant and loved the connection I made with the patients. The more I learned about oral health the more I wanted to be a bigger part of educating and guiding patients to optimal health. In 2009, I graduated with an Associates of Applied Science, Dental Hygiene degree from EPCC in EL Paso, Texas. In 2014, I moved to Colorado and in 2016 I joined SunCreek Dental. What I have enjoyed most as a Hygienist is helping patients achieve their oral health goals whether they are to treat and stabilize gum disease or to maintain healthy gums and teeth. My husband and I along with our 2 boys, love exploring Colorado. We enjoy camping, hiking, snowboarding and supporting the Denver Broncos. I am proud to be a part of such a caring team that is dedicated to their patient’s dental needs. Carrie is a Dental Assistant/EDDA. Carrie has lived in Colorado for 20 years. She joined our team in 2016. Carrie can be found in the office as a clinical assistant working chair side with the doctors in providing quality care to achieve a beautiful and healthy smile for you. 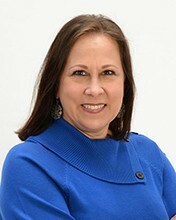 She also works as your patient liaison in advocating any and all of your concerns and goals you would like to have addressed. 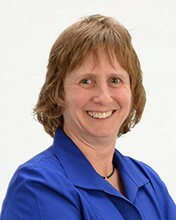 She has over 27 years experience in assisting and education with understanding Human Development. Carrie strives to always be continuously learning. Carrie loves to laugh, dance, and relax. Maddy is the newest addition to our practice. Her voice is the first one you will hear when calling our office and the first one who will greet you when you walk in. She has been in the dental field for over 30 years and has managed dental practices for over 19 of those years. Her expertise is in management,treatment planning, insurance and marketing. Maddy is married to her best friend Mike. They've been married for over 35 years and have two four legged children, Daisy and Kelly.